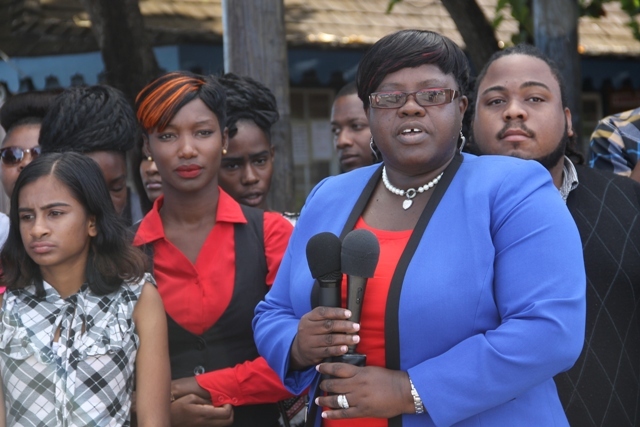 NIA CHARLESTOWN NEVIS (APRIL 04, 2016) — Minister responsible for Youth on Nevis Hon. Hazel Brandy-Williams says the Nevis Island Administration is sticking to its mantra of fostering youth leadership and continues to expose youths on the island to as many international and regional forums as possible. 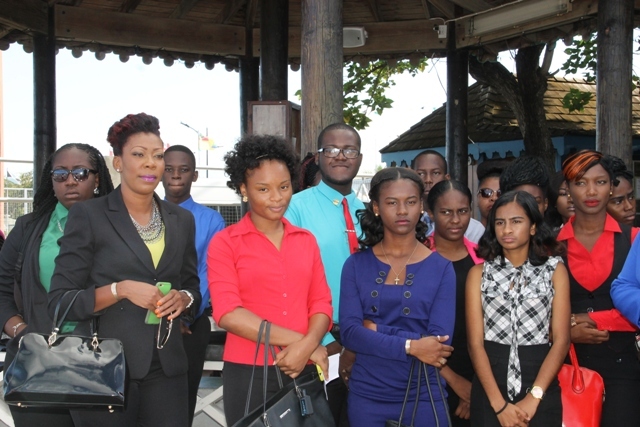 She made the comment on April 04, 2016, at the Charlestown Pier, moments before a group of youths—students, members of the Nevis Island Youth Council and various other youth organisations—led by Ms. Camara Lee, Chair of the Nevis Island Youth Council’s Steering Committee left the island to participate in a forum at the Clarence Fitzroy Bryant College (CFBC) in St. Kitts. The forum involves a roundtable discussion between a number of visiting diplomats to St. Kitts who are stationed in the region and young people of the Federation. The event is part of an event organised by the Diplomatic Core for Diplomatic Week 2016. 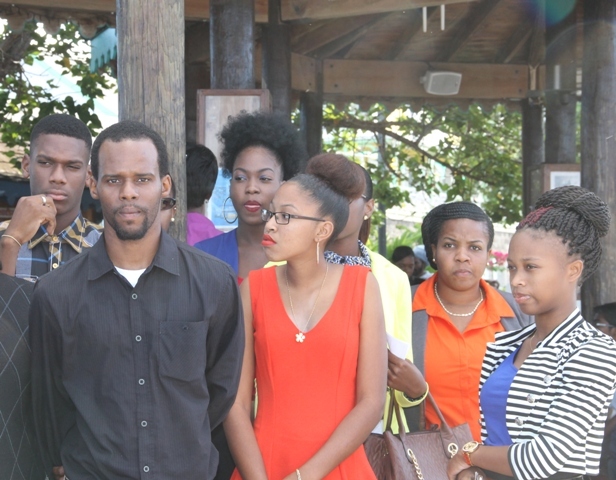 According to the minister, until 2015, there were no Nevisians stationed in consulates in the region and the administration is hopeful the exposure would stimulate some of the youths to pursue careers in public relations, international relations and diplomacy. “We are hoping that they will find the discussion at this forum this morning very useful. I am hoping that they will ask as many questions as possible so that they will get all the information necessary for them to guide themselves into this path,” she said. Mrs. Brandy-Williams also commended members of the contingent for their interest in attending the forum. Meantime, she said the NIA would also be giving another group of students who are exposed to the sciences, geography and agricultural science the opportunity to attend and participate in another event onApril 05, 2016 at the St. Kitts Marriott Resort in St. Kitts. She explained that the meeting would take the form of a discussion on the 2030 Sustainable Development Agenda. Among the distinguished panellists versed on the topic slated to participate are Governor of the Eastern Caribbean Central Bank Timothy Antoine.